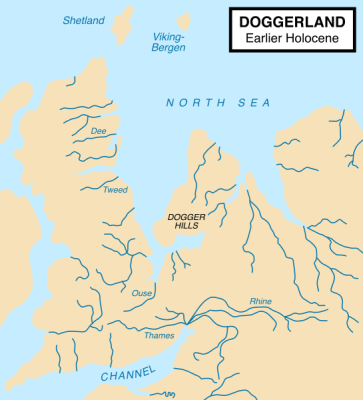 Doggerland was an area of land, now lying beneath the southern North Sea, that connected Great Britain to mainland Europe during and after the last Ice Age. It was then gradually flooded by rising sea levels around 6,500–6,200 BCE. Geological surveys have suggested that it stretched from Britain’s east coast to the Netherlands and the western coasts of Germany and the peninsula ofJutland. It was probably a rich habitat with human habitation in the Mesolithic period, although rising sea levels gradually reduced it to low-lying islands before its final destruction, perhaps following a tsunami caused by the Storegga Slide. British scientists and researchers have recently started using 4D technology to explore the remains of an area inhabited before sea levels destroyed it over 7,000 years ago. Historians believe that the area spanned over 100,000 square miles and was home to dozens of prehistoric Britons. 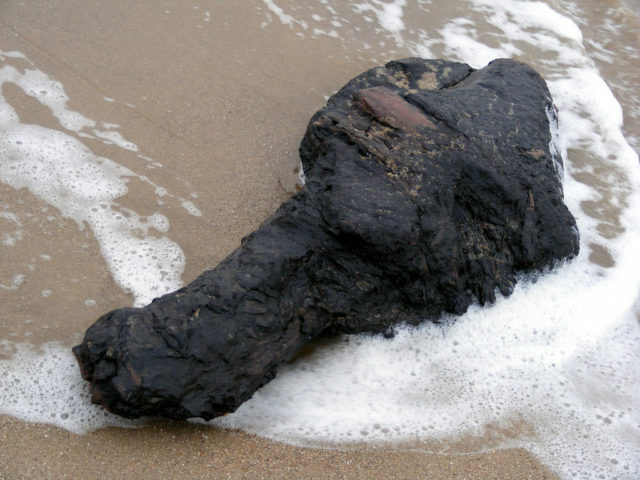 It was once known as Doggerland. Using the 4D technology, researchers will show how Doggerland was colonized and inhabited before being washed away. The researchers like to call this area “Britain’s Atlantis”. Over the years, experts from Bradford and Nottingham have worked on the multi-million pound 4D project. With the tool, they hope to find evidence of flint tools, animal DNA, and pollen from plants. One of the researchers working on the project, Mr. Vince Gaffney, says that he hopes the 4D tool will find something so other researchers can use the information. 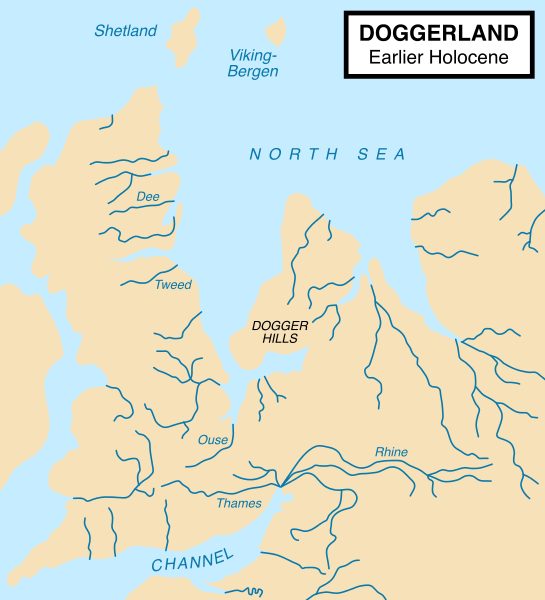 Historians believe that Doggerland was submerged sometime between the years of 18,000 and 5,500 BC. The area was just recently found by divers in the area; they were doing research three years ago to find more oil resources when they discovered the remains of the other world. Some historians believe that this area could have been home to thousands of people and was most likely once the heartland of Europe. After the divers’ discovery, climatologists, archaeologists, and geophysicists mapped the area and found out this Atlantis stretched from Denmark to Scotland. Until the middle Pleistocene, Britain was a peninsula of Europe, connected by a massive chalk anticline, the Weald–Artois Anticline across the Straits of Dover. During the Anglian glaciation, approximately 450,000 years ago, an ice sheet filled much of the North Sea, with a large proglacial lake in the southern part fed by the Rhine, Scheldt, and Thames river systems. The catastrophic overflow of this lake carved a channel through the anticline, leading to the formation of the Channel River, which carried the combined Scheldt and Thames rivers into the Atlantic. It probably created the potential for Britain to become isolated from the continent during periods of high sea level, although some scientists argue that the final break did not occur until a second ice-dammed lake overflowed during the MIS8 or MIS6 glaciations, around 340,000 or 240,000 years ago. With the new technology, there is now research on two more North Sea valleys being led by Mr. Gaffney. The project is funded by a European grant. Mr. Gaffney and his team hope to use remote sensing data to reconstruct the ancient landscape. Besides this research, the team hopes to get some core sediment samples from the landscape to eventually create a map showing rivers, lakes, hills, and coastlines. After the area slowly started sinking into the water, a storm surged and the sea levels rose abruptly, creating an island around 6,500 BC. One thousand years after the first storm, the whole island was then submerged and lost. The team hopes to learn more about the lifestyles of the territories. One researcher from Wales says that the project will let the team look into the ways of the people and also what it was like to live in the Mesolithic period. The new 4D technology will open up new doors for researchers and historians to find out more about territories, colonies, and people from thousands of years in the past.